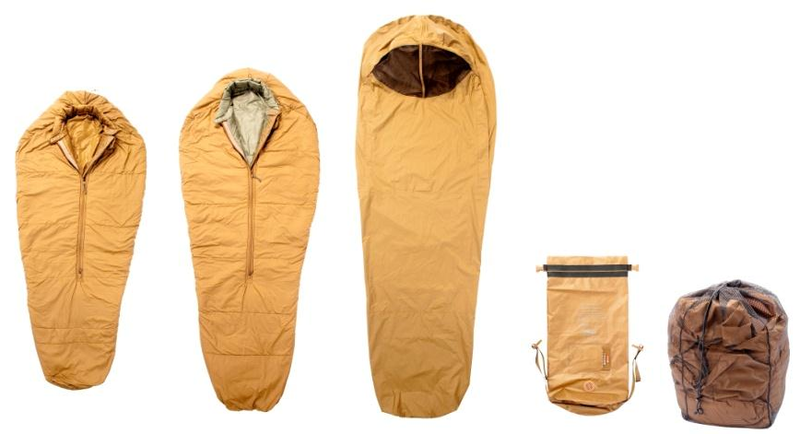 The 3-season sleep system (3S) is a single sleeping bag system that is lighter in weight and provides increased environmental protection for all environments except extreme cold weather. 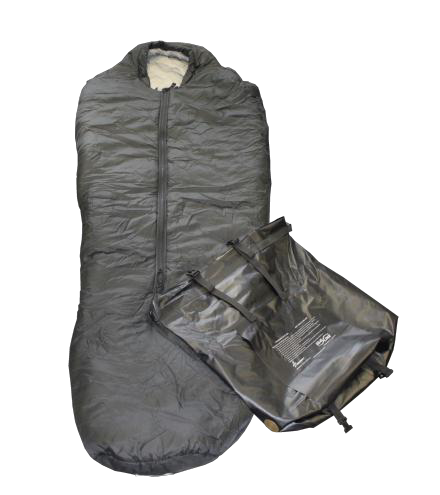 OEF After Action Reports identify a compelling need to provide Marines with a sleeping bag that increases protection from environmental conditions while reducing weight and volume. OEF Marines carried only the modular patrol bag during mountain operations to decrease weight and volume but provided inadequate protection in the cold mountainous environment. The system includes a sleeping bag, bivy cover, waterproofing compression stuff sack at a total weight of 4.8 lbs as a 10% weight reduction with improved protection. The system increases temperature by 15 degrees to protect at 20°F and above for wet and dry conditions for 4 hours uninterrupted sleep. Wearing clothing warming layers inside the bag provides protection down to 0°F. The bivy cover is 18% lighter and provides improved comfort, protection and volume. It allows the Marine to be totally encapsulated under extreme weather conditions. The material is a microporous laminated membrane with highly water repellent exterior. An integrated flexible wire allows the bivy to stand off from the face and a bug proof screen window can be fully or partially opened. A simple 2 strap compression stuff sack with automatic purge valve is waterproof and packs the system to fit into the bottom of the main ruck. The system will be fielded to the CIFs and the current Modular Sleep System will be the Arctic Bag in the Cold Weather Gear Inventory. The ExCWB outer bag is used over the 3S bag and inside the bivy cover to provide comfortable climate at temperatures as low as -20 degrees. 3/8" to 1/2" eyelets at the end of the sleeping bag hood which provide an attachment point for proper positioning of the outer sleeping bag around the face when it is used over the 3S sleeping bag.